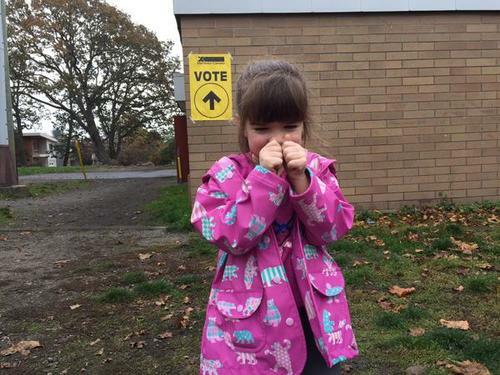 This is my first opportunity to vote in all my life, so I am pretty excited. 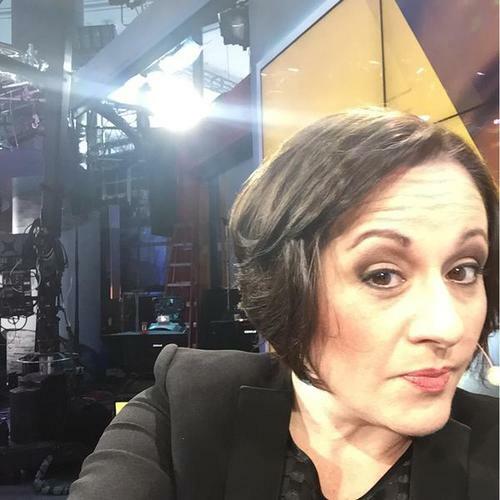 Fadwa Awad did something today she never could do growing up in the Middle East. 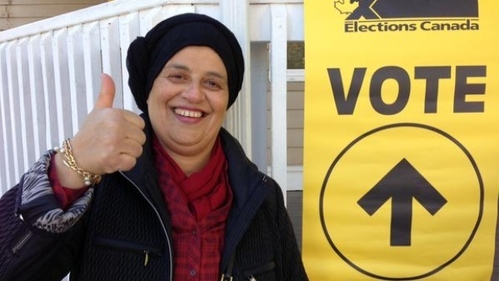 Awad, who was born in Palestine, became a Canadian citizen in March and for the first time in her life, she voted at her polling station on Halifax's Morris Street. 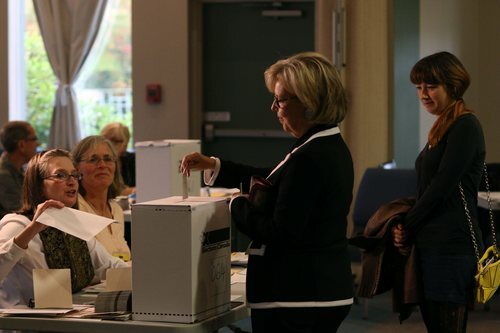 Green Party leader Elizabeth May casts her ballot at the SHOAL Centre on election day in Sidney, B.C. 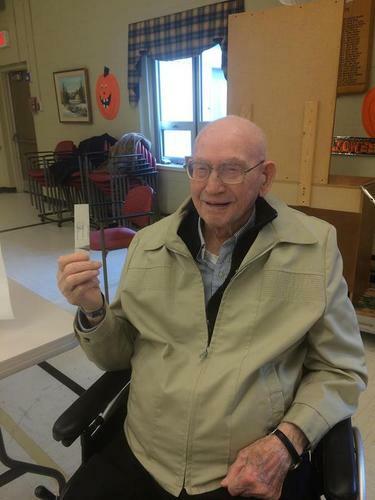 Elections Canada says it will accept the vote of a man on the Northern Peninsula who cast his ballot nearly 30 minutes before polls officially opened Monday morning. 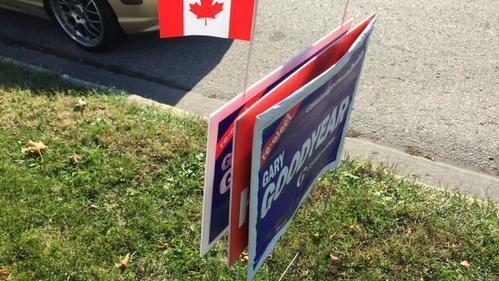 "Apparently the gentleman voted at 8:03 exactly, from what I hear," Elections Canada media advisor Francoise Enguehard told CBC News. 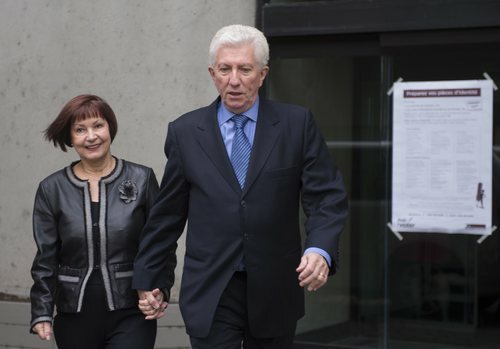 Toward the end of a recent appearance on an immensely popular TV talk show, Gilles Duceppe told the live studio audience he learned a trick from an old-school politician about how to tell if an election campaign is going well. 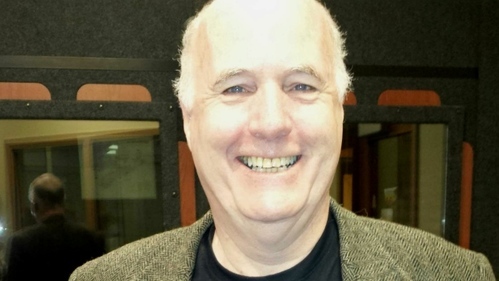 "When you walk down the street and you say 'Hello!' 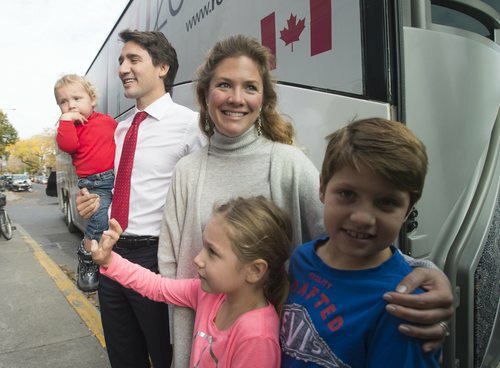 and people lower their heads to look away, then you know things are going badly," the Bloc Québécois leader said. 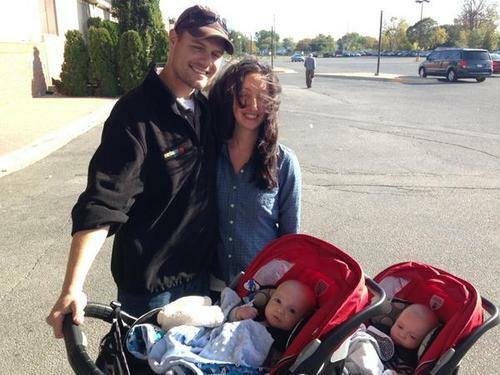 "But when they look you in the eye and talk to you — which is what is going on now — then you know things are going well." 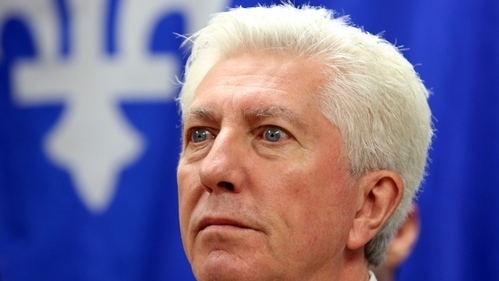 Duceppe said during the weekly talk show — viewed by roughly one million Quebecers — that "we're likely heading for a minority Parliament. 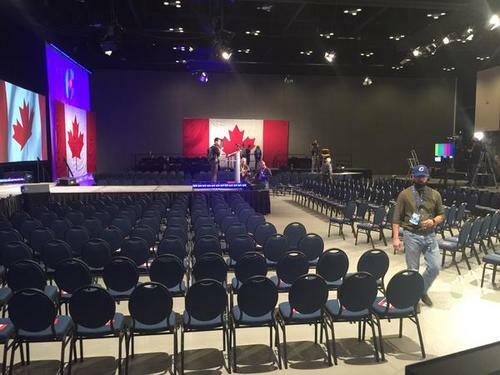 So Quebec needs to press with all its weight. 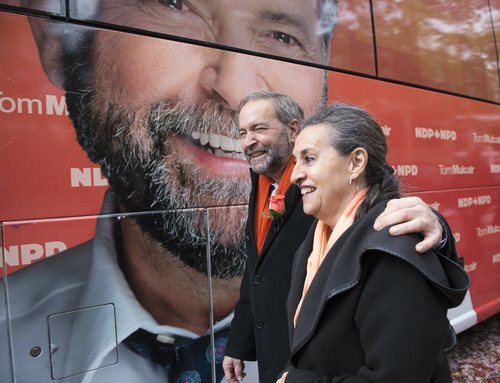 And (the Bloc) is full of men and woman who will stand up to defend our interests." 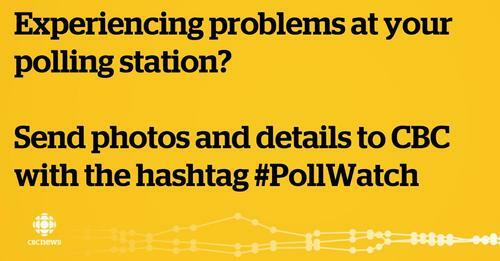 Still wondering whether to vote? Give this some thought. 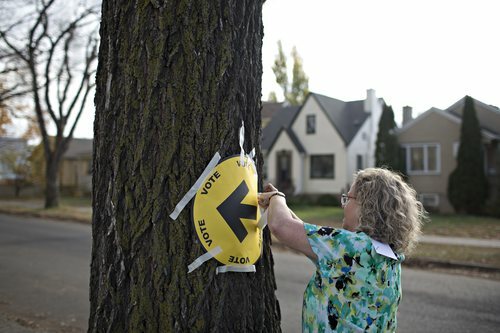 Cheryl Demcoe tapes up a sign showing voters directions to a polling station in Edmonton on Monday. 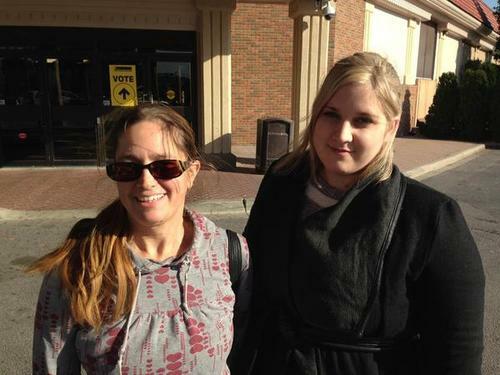 People across Canada were casting ballots on Monday in the country's 42nd general election. 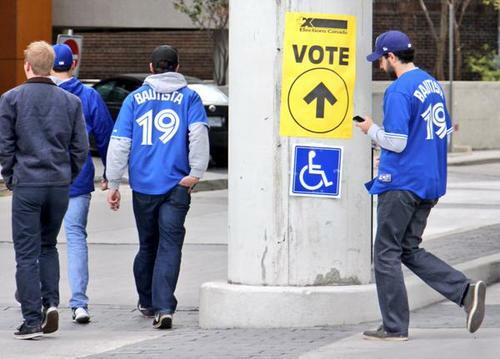 Voters across Canada are heading to the polls today. 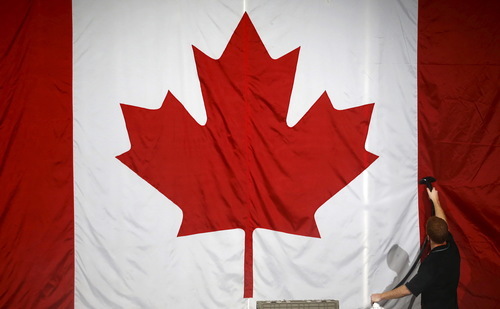 A worker steam cleans a Canadian flag in preparation for NDP leader Tom Mulcair's election night rally in Montreal, Que. 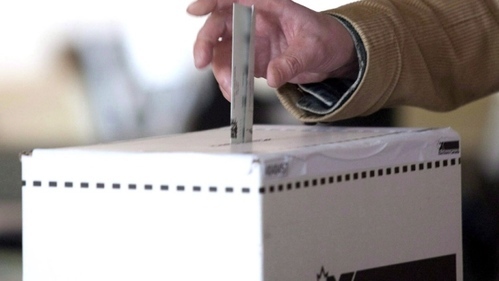 To the extent that the Canada Elections Act bans the tweeting of a ballot, I think the act is unconstitutional and the only way to get that question before the courts is to break the rule. 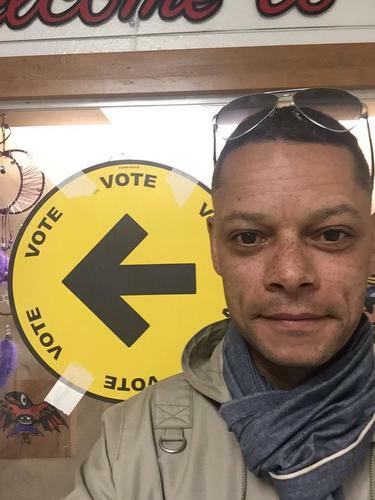 A Nova Scotia man tweeted a photo of his completed federal election ballot to challenge what he says is an "unconstitutional" ban in the Elections Canada Act. 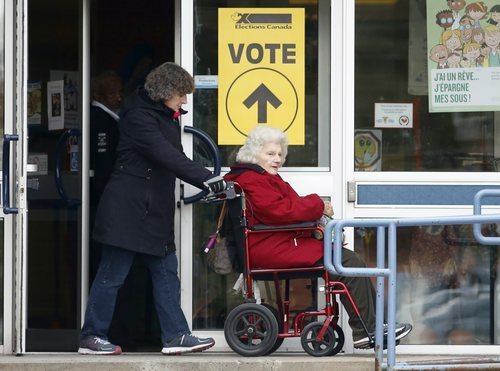 Women leave the Ecole Marius-Barbeau polling station, in Ottawa, after casting their votes in the Canadian federal election on Monday. 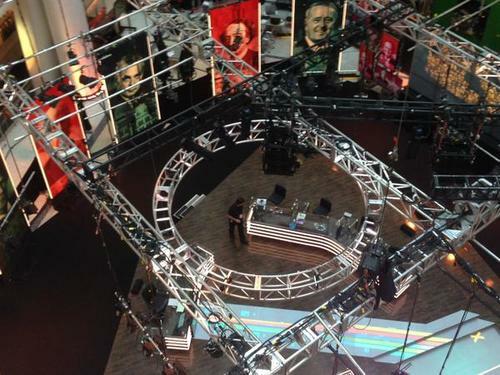 Kick off your election night with CBC's live election special, starting at 5 p.m. 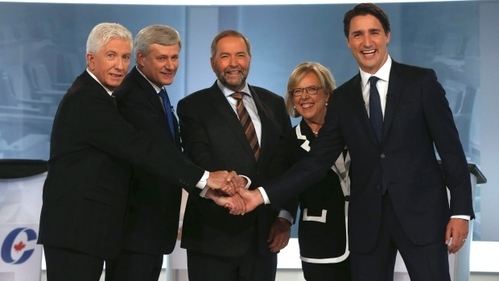 ET with Power & Politics and continuing through the night. 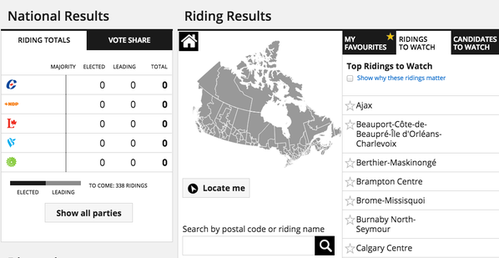 Our results dashboard gives you up-to-the-minute results, candidate and riding profiles and seven unique election live streams. 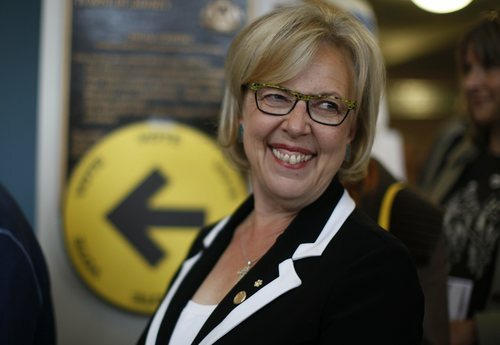 Canada's big political parties have just spent millions of dollars branding their names to us, but sadly for them a cheap trip to the etymology section of your dictionary reveals them to be nothing but amoral outlaws leading the people astray. 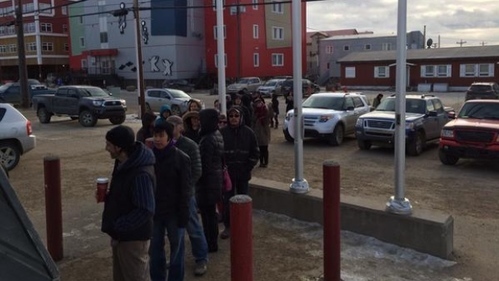 Would-be voters in Iqaluit are contending with long lineups and a windchill that feels like -11, but many residents say today is the first time they've ever seen lineups at a federal election polling station. 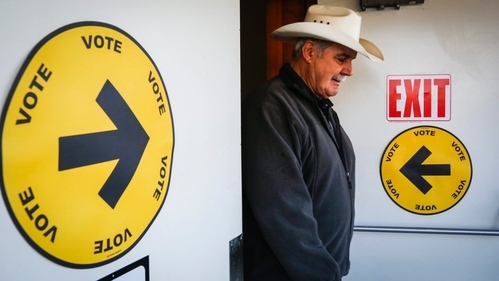 Canadian election results will not be blacked out across the country today — meaning voters in B.C. 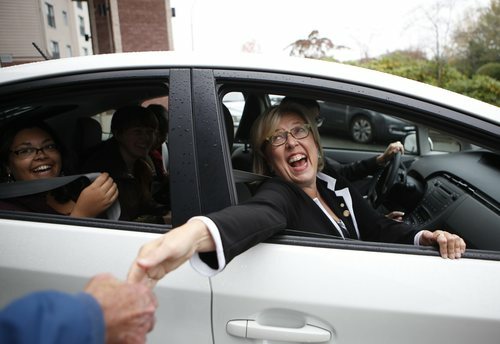 will likely have some idea how Atlantic Canada voted before polling stations on the West Coast close tonight. 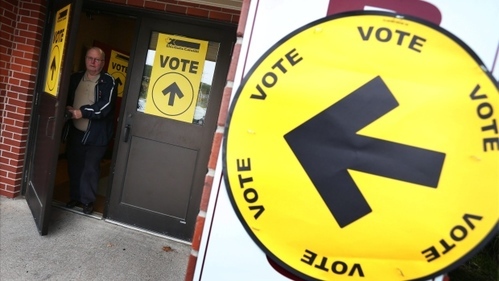 Instead this year, in an attempt to ensure most results are available around the same time on election night, Elections Canada has staggered opening hours for polling stations across the country. 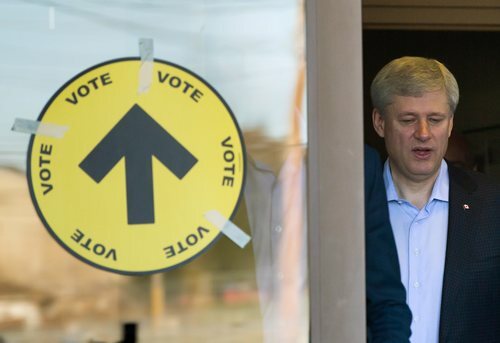 As the sun literally sets on #elxn42 here's a time-lapse video of 10 busy minutes at a poll in St. John's South-MP. 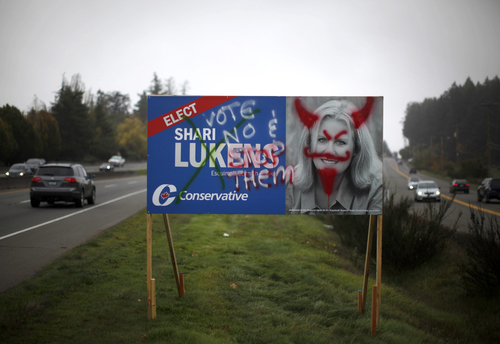 @liberal_party I tried to vote at poll station 419. Turned away twice. 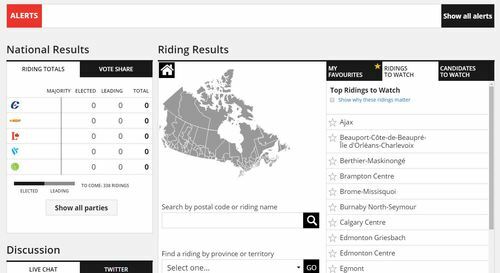 "I've never seen so many young people at an election"says Elections Canada worker Sean Desjardins in #Fredericton #NB"It's very good to see"
Our Conservative Party channel is live now. 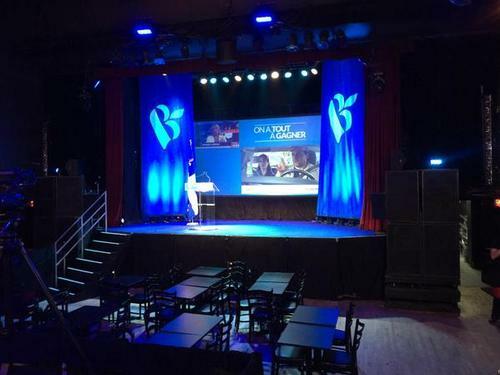 Check in on party headquarters and watch speeches and comments in the “Live Streams” section of our results page. 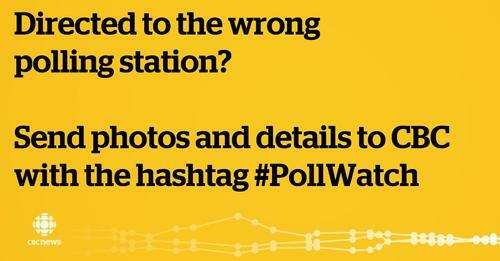 Here's a look at when the polls close in each time zone. 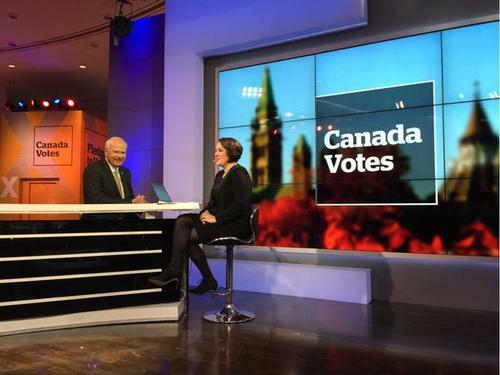 Mountain (and Saskatchewan): 7:30 p.m.
Our Liberal Party channel is live now. 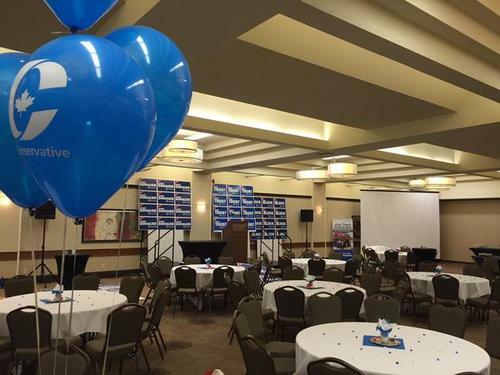 Check in on party headquarters and watch speeches and comments in the “Live Streams” section of our results page. So. 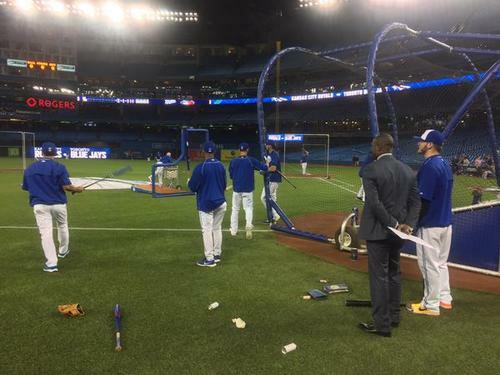 #BlueJays. 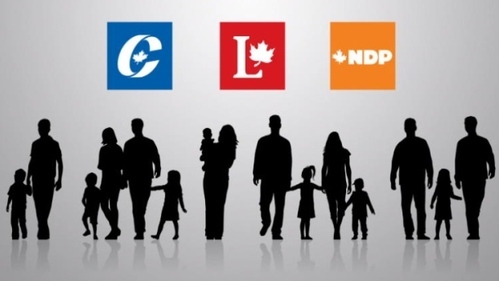 #elxn42. Which goes on big screen, which small screen? Or will you surf?